Single formula built from a combination of four natural essences, in a very accurate method, with an excellent dermatological and hypoallergenic behaviour. Certified Organic Oils and Herbs are used in the formulation. Extract/ Ghan of Nimba Leaf is obtained at low temperature to prevent the loss of temperature sensitive actives. Oils and Extract/Ghan are weighed and added to cream base. Stir well and transferred the cream for filling. Ayurveda approaches haemorrhoids in many ways. This includes diet, lifestyle, herbal supplements and medication (Internally and External application). Aloe Vera ((Aloe Barbadensis): It has anti inflammatory and soothing property can help relieve haemorrhoids. Karanja Oil (Pongamia Pinnata): It works as an excellent emollient. Its anti inflammatory property works wonderfully on haemorrhoids. Neem oil and Neem Leaf Ghan (Azadirachta Indica): We are very fortunate that God blessed us with Neem. Neem is one of the most effective herbs for treating haemorrhoid. 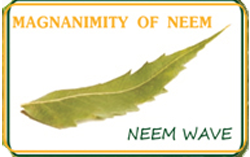 Neem can help to prevent haemorrhoids. Neem oil is very effective on haemorrhoids. The anti-inflammatory property reduces the inflammation caused by the affected veins. Neem oil with a high Vitamin E content and rich with emollients and fatty acids, helps restores the skin’s natural elasticity. 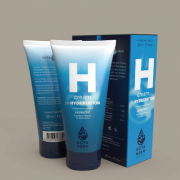 It also provides relief from pain and removes discomfort associated with haemorrhoids. Apply nicely on the haemorrhoids with gentle pressure in circular motion till it gets absorbed in the skin. For the best and faster results apply it twice a day at 12 hours interval. In acute and chronic conditions apply it four times a day at the intervals of four hours.